Among audio engineers, Justin Colletti is probably best known as one of the most prolific young writers in the pro audio field. He has been a featured contributor for outlets including SonicScoop, Trust Me I’m a Scientist, Tape Op Magazine, The Deli Magazine, and The Universal Audio Blog. Justin has taught audio at the college level for CUNY and NJCU, and for a time, he ran the audio technology department for SAE New York, serving as the youngest department chair in its history. During the first 10 years of his career, Justin worked mostly as a recordist, mixer, and live sound technician. 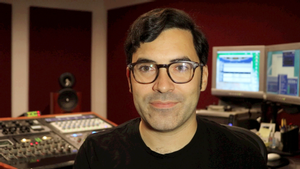 Today, he spends most of his time mastering recordings at Joe Lambert Mastering, and helping to run SonicScoop, where he was made partner in 2014.